Water security is a defining feature of the opportunities and limits for growth and development in Bangladesh. The country has made enormous strides in reducing poverty between 1990 and 2015. It is one of Asia’s most dynamic economies with water shaping its rich history and future growth. Complex hydrology, chronic water-related risks, high exposure to water-related hazards and rapid environmental change mean that Bangladesh is already addressing challenges that will affect other South Asian countries in the decades ahead. But poverty reduction and growth efforts will not achieve desired development outcomes unless they include productive investments in water security and protective interventions against water-related risks. 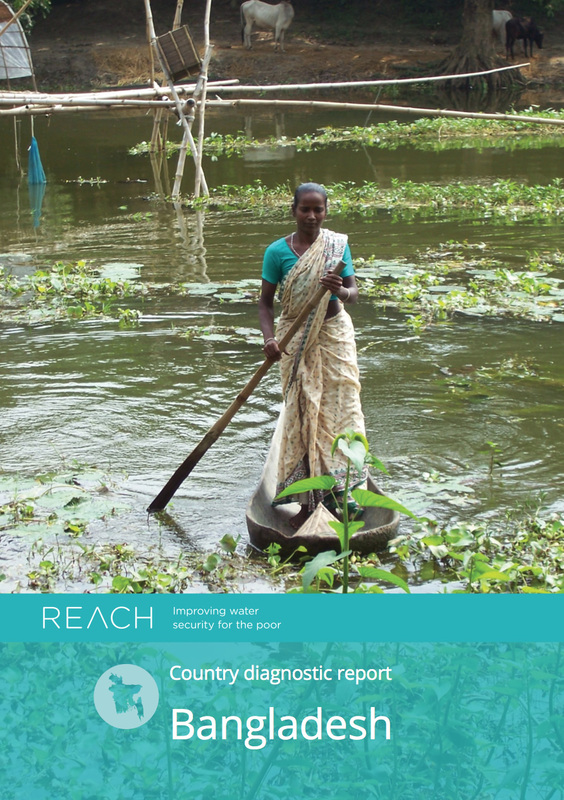 This working paper highlights the key water security risks to Bangladesh’s growth and poverty reduction efforts and illustrates evidence of significant but uncertain water security risks. It examines the progress made by Bangladesh in reducing poverty and improving growth. It then proposes potential locations to establish REACH Water Security Observatories for ‘universal drinking water security’ and to reduce ‘water security risks for the coastal poor’.